TAKE Three: My brother on FACE OFF! 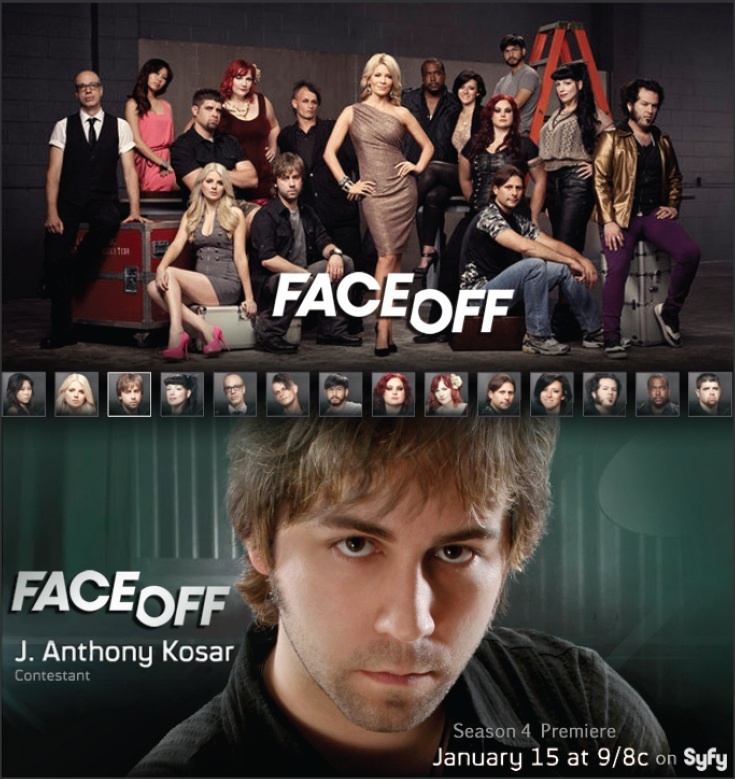 I am so overly proud to announce my talented brother, J. Anthony Kosar, will be one of the contestants on Face Off! Face Off is a creative reality show on SyFy where special FX make-up artists compete against each other. Each week tests their artistry and techniques to create a full make-up character to match the theme of each "spotlight challenge." Click the link to view the trailer for Season 4! The contestants are judged by industry figures and artists, such as Academy Award-winning make-up artist, Ve Neill, television and film make-up artist, Glenn Hetrick, creature designer and director, Patrick Tatoploulos, among many others. Follow Anthony on Twitter @KOSARTeffects, on Facebook at Kosart Effects Studios or check out his website at www.KosartEffects.com! Be sure to spread the word and tune in Tues., Jan. 15th 9|8c on SyFy!